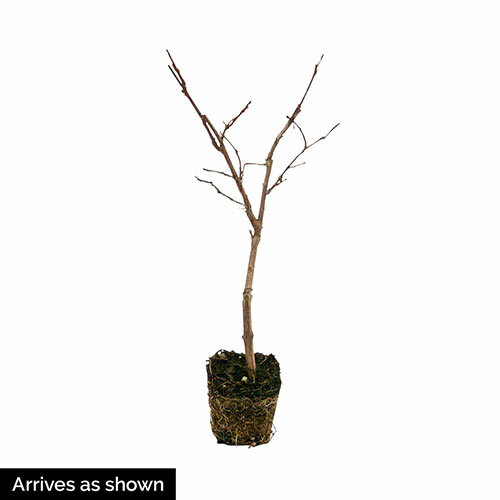 An outstanding ornamental tree for the garden or landscape! This small tree or large shrub provides bold purple blooms, outstanding foliage color and even shedding bark for winter interest. In the summer months, the deep purple flower panicles open and attract butterflies. The Catawba Hardy Crape Myrtle has deciduous foliage that has a bronzy cast in the spring and that turns a bright green during the summer months. In the fall, the glossy green foliage turns a stunning orange-red. The bark has red, brown and gray hues. 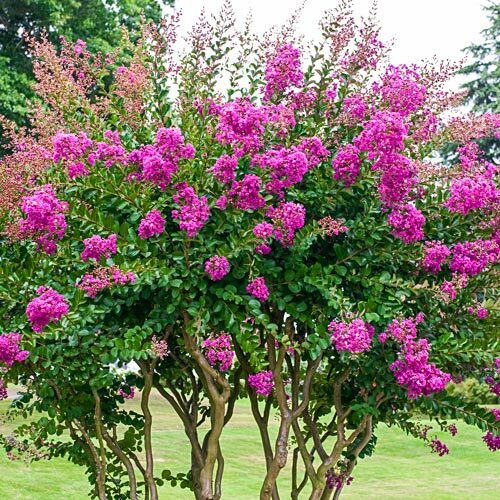 Growing 6-15' tall, the Catawba Hardy Crape Myrtle performs best when planted in organically rich, well-drained soil and full sun. It becomes more drought tolerant with age. Soil RequirementsWell-drained, organically rich, moisture retentive soil. Becomes more drought tolerant with age.